Do I need a passport to travel to Ukraine? Do I need a passport to travel to the Crimea? Ukraine has long attracted the Russians as a close and so dear abroad. Kiev – capital of Ukraine, cultural, economic and geographical center of the country, where so many attractions that for one weekend not to see. Crimea – a beautiful resort on the black sea coast. But travelers are initially interested in, what documents are needed to cross the border without problems. If all the tourists and visitors of Ukraine are citizens of Russia, crossing the Russian-Ukrainian border, they will need only one passport: either Russian or foreign. When crossing the border at the checkpoint need to show any of these passports and fill out an immigration card. This card is issued free at the border, and filled it arriving while the border guards check the documents. Half of this card remains with tourists, it is stamped on entry, if the traveller enters on a Russian passport. If the trip is planned to use the passport, it will put another of the same stamp as on the immigration card. Citizens of Armenia, Azerbaijan, Georgia and Uzbekistan at the entrance to Ukraine must be in possession of a passport. For children under 14 years must have their birth certificate with a stamp about the Russian citizenship or sack with a mark of citizenship. If the child is recorded in the passport of parents, it can skip the country without personal documents, but preferably you should have all the documents. With one of the parents, the child may enter the country without permission of the second, but one child will admit to the Ukraine with a guide (e.g., a grandmother) only in the presence of a notarized consent of the parents of the child's departure from Russia. 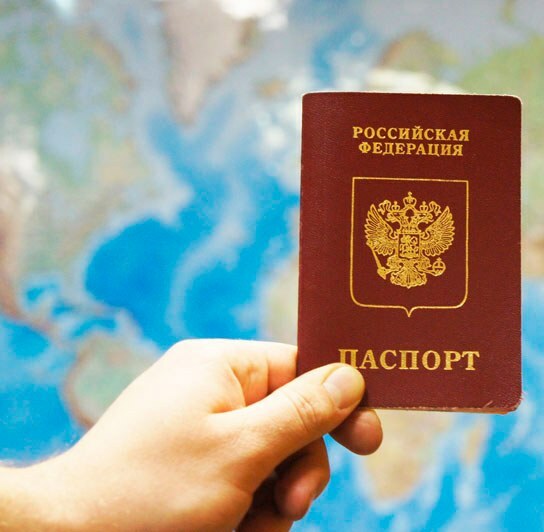 Before you travel be sure to pre-check whether expired passport will not expire if he's up to until you will be in another state, otherwise you'll have to stay in Russia and to change the document. Also the problem with the passport happens to girls after marriage: if you are going to the Crimea after the wedding and decided to change the name, then you need to change the passport and then cross the border. In Ukraine, the Russian passport will be valid even if there will be no stamp about registration in a residence. If you go to Ukraine by car, bring a driver's license and passport of the vehicle. You will also need insurance, but it can be issued at the border. In long journey (more than two months) will have to put the car on accounting in Ukraine. To smuggle into Ukraine without declaring $ 3,000 per adult. Interestingly, you can take out already to 10 thousand euros, also not declaring the money.